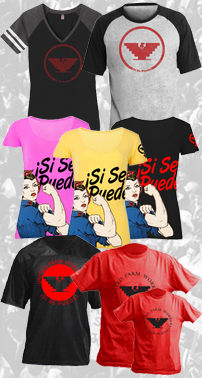 Cesar E. Chavez Sale - 20% off selected items. 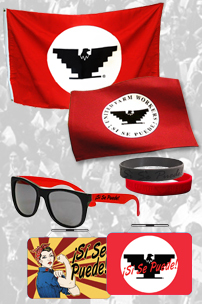 Spring into action with 20% off all the gear you need for the Cesar Chavez Event. Grab and Go: Don't wait. Toss these in your cart and make a break for it. 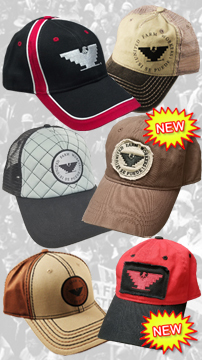 Hats: Hold your head high. Stickers: You have to stick to it if you want to win. Apparel: Look out world, you got the look. Buttons: No signal, no problem. Buttons get the word out wherever you go.